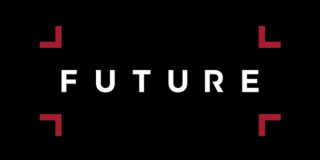 Future PLC, a U.K.-based specialist media company, has acquired NewBay Media, publisher of AV Technology, Systems Contractor News, Digital Signage Magazine, and dozens of other publications. NewBay is an information and events business based in New York and London. It has a substantial B2B portfolio operating in verticals including electronics and education, and TV and audio. In addition to its professional AV-related brands, other prominent publications include Broadcasting & Cable, a leading voice of authority in the television industry, and several top magazines in the music vertical, including Bass Player, Guitar World, and Electronic Musician. Its business is mainly in the provision of conferences, magazines, events, digital content, and data services. The deal expands Future’s reach into the U.S. market and enhances its market leading position in music and consumer electronics. In addition, the acquisition brings B2B titles in the complementary verticals of audiovisual, television broadcasting, and educational technology, which will further increase Future’s revenue diversification model while also bringing B2B expertise to its existing titles. The acquisition increases Future’s total owned brands to more than 100 across print, events, and online, with a total global reach of over 120 million. “NewBay is clearly aligned with Future in its mission to create content that connects, with market leading titles,” said Zillah Byng-Thorne, CEO of Future. “This acquisition supports our strategy of growth organically and through acquisition, global expansion, and revenue diversification. “The NewBay team’s expertise in engaging business decision makers, and providing solutions to sellers around the globe—through events, digital content, and marketing services—complements Future’s capabilities, creating a unique platform and exciting growth trajectory,” said Steve Palm, president and CEO of NewBay. “This combination will result in new and better opportunities for both NewBay and Future partners to expand reach and depth of customer interactions throughout the buyer’s journey. Delivering data-driven brand and product awareness, thought leadership, and demand for our partners will only be enhanced.